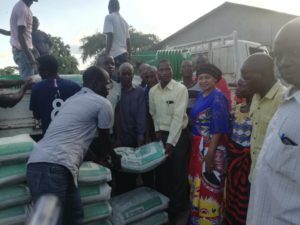 CHIKWAWA-(MaraviPost)-In response to pledges she made towards infrastructure development in Chikwawa-Nkombedzi Constituency, Abida Sidik Mia who is the area’s Malawi Congress Party (MCP) Parliamentary Aspiring Candidate, had on Sunday, lived up to her promise of donating to various project committees. At Fodya Primary School, in Traditional Authority Ngabu, Mia donated 100 bags of cement at a brief colourful ceremony. Abida Mia also took time to appreciate progress of the school block, which is being constructed and is now at window level. 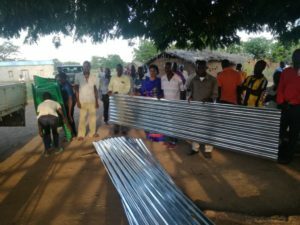 She then afterwards took another donation of 40 iron sheets to the area’s Saopa Zone, where it will be used for the roofing of an Under-5 clinic at Kanthunkako Village. In her last leg for the day, the female politician reached out to Emmanuel Church in Group Village Headman Kaliza, where she handed over 100 plastic chairs. In an interview, Mia expressed strong determination to continue transforming the lives of people in the area, just as she has always done for the longest time. 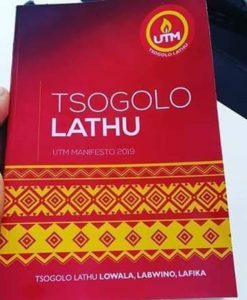 “I will continue doing everything towards uplifting the lives of people and on development even when I become MP,” she verbally expressed her commitment. The firebrand politician has also vowed to ease water challenges that people in one of the largest constituencies in the country are facing. So far, Abida Mia has drilled 11 boreholes in various parts of the constituency with many more boreholes to be drilled in coming months.